The Ethernet to Fibre Optic Modem is very easy to install and offers a high speed electrically isolated communication over a long distance. 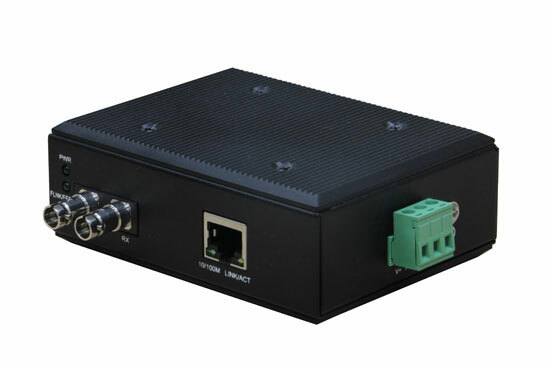 The Ethernet to Fibre Modem is a 10/100Base-TX Industrial Ethernet Media Converter with 1x Ethernet port (RJ45, LIN K/ACT), 2x Fibre optic ST connections (TX, RX), Active, Earth, Neutral points (V+, FG, V-) and additional earth point enclosed in an IP30 metal case. The device has 35mm DIN mount fittings for attaching to the RC10 Radio tray.